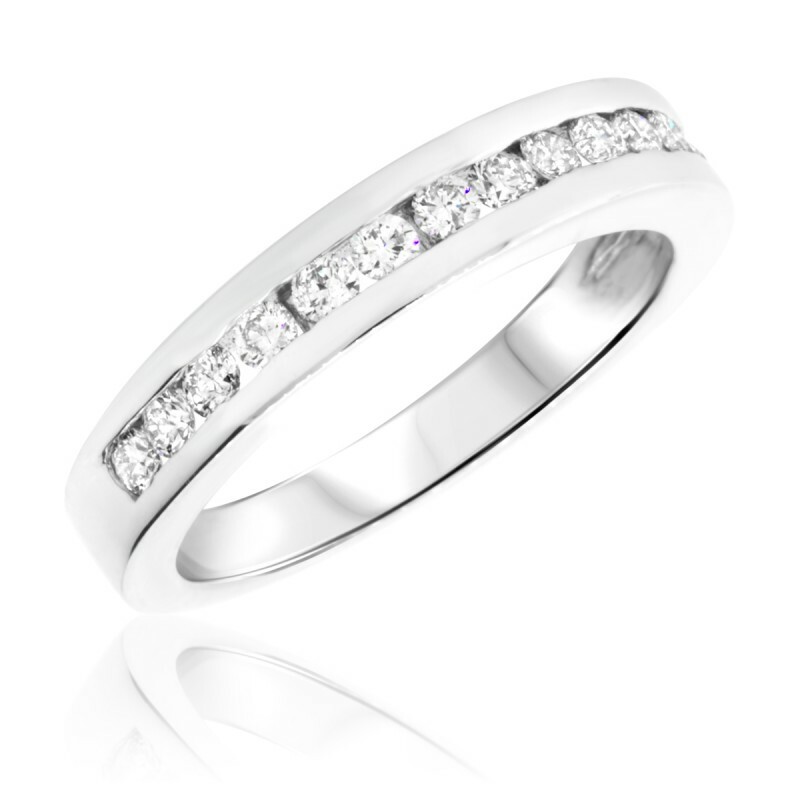 The ladies ring features a row of 15 round diamonds in a channel setting, creating a streamlined design that won’t overshadow the engagement ring. 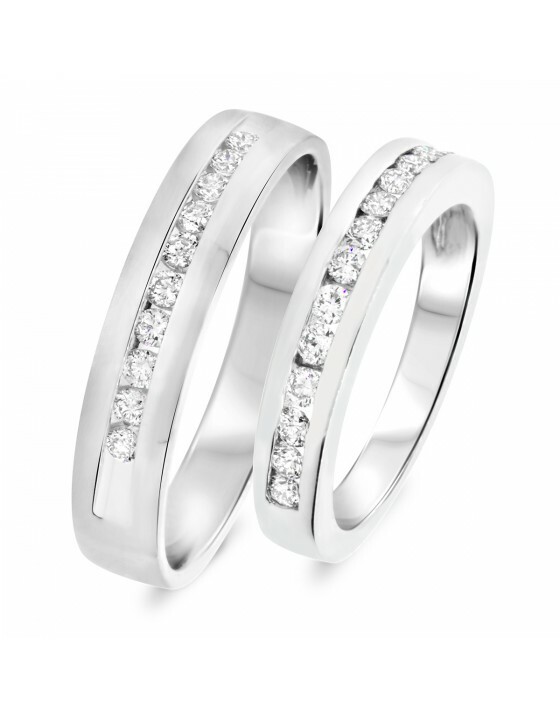 The 14K White Gold band is just as prominent as the diamonds – together they create a look of luxury. This band sits right against the engagement ring’s band on her hand.